I am an all or nothing girl. Moderation is a concept that I can’t quite grasp. While other people may be able to regulate their sugar consumption to a daily Freddo or row of chocolate, I’d eat the whole bag of Freddos or the whole family block. Perhaps I could manage to drink only two iced teas (or Cokes) in a day, but that was on a good day. I was living a life fuelled by sugar, dictated by the energy highs and crashes, with a brain fog of which I had no awareness. 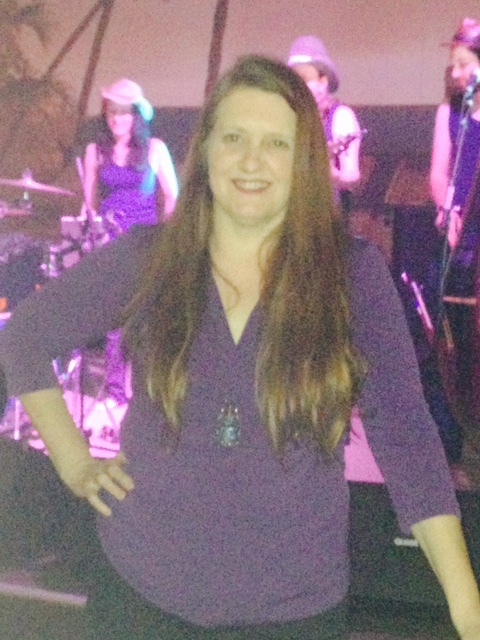 This was my usual state of being, my usual state of health, this was my reality – how could anything be wrong? My doctor declared me pre-diabetic about 13 years ago but somehow I’d managed to shrug off that label and restore my blood sugar back to a normal range. While I was no longer on the precipice of diabetes, I had hypertension controlled by daily medication and my BMI fell into the ‘obese’ range. I hated buying clothes, picking a size and finding it too small. And yet I couldn’t see a way out. I had been trapped by cravings for sugar since I was young and giving up my one vice seemed an insurmountable task, and a ridiculous suggestion. Chocolate provided so much pleasure – everyone was entitle to one vice, surely? The weight kept creeping up and I found that I was regularly wearing size 18 and one of my favourite LBD’s was a size 20. Not quite a little black dress after all. Observing the effects of a sedentary lifestyle every day at work, I knew I had to take action. For many years I tried everything — bar giving up the sweet stuff — to arrest the weight gain. I joined Curves. I tried Lite n’ Easy, but I wasn’t fully committed to either and exercise and eating light just gave me an excuse to eat chocolate because the calorie burning should negate the chocolate calories. The sweet stuff was an emotional crutch – it got me through the stressful times, it got me through boredom, and it added to the joy when I was in a celebratory mode. But I did give up Coca-Cola. On 1st February 2010, I went cold turkey. I was a Coca-Cola addict. It had to go. A couple of weeks of crazy caffeine and sugar withdrawal headaches and things started to look clearer. And then my relationship fell apart and ended in March 2010. Somehow I stayed resolute throughout the grief, throughout the rebuilding of my life including cleaning up the mess that was left behind, and searching for new accommoodation. I refused to give in to my psychological yearning for a Coke. Even when my new accommodation plans fell through and I had to start the search all over again, I didn’t succumb to the evil black liquid. One day I accidently pressed the wrong button on the vending maching and a Coke popped out and I gave it to a work colleague. The universe was testing my resolve, not giving me an excuse to drink it. The last time I ditched Coke was in 1998. I was living in Adelaide and working at the Westpac Mortgage Centre which is 3 (?) football fields wide. One of my work tasks was to deliver settlement documentation to the relevant teams, scattered around the centre.The combination of giving up Coke and the distance I walked meant that the weight just fell off me. I hoped for similar results in 2010 but I quickly substituted Coke with other sugary drinks (ginger beer and then iced tea) and my emotional state resulted in the consumption of copious amounts of chocolate. There was some weight loss, but not a huge amount and the weight soon plateaued. 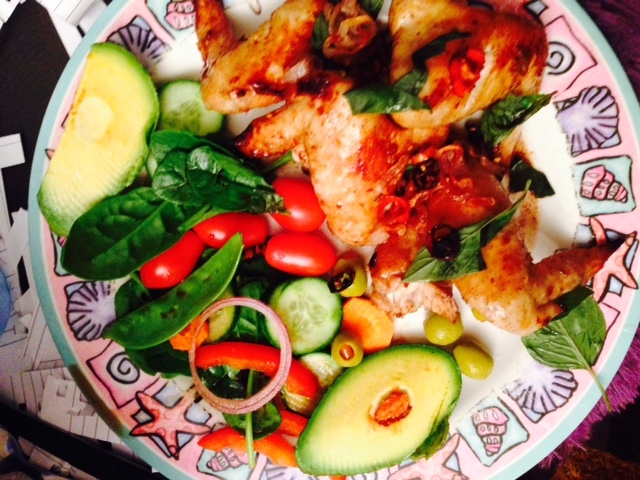 Last year my author friend and critique partner Juliet Madison encouraged me to try Paleo. Finally in September, I decided to go 80% Paleo. I wasn’t making the effort to squeeze Curves into my schedule. Despite the lack of exercise (apart from bellydancing once a week), my weight started to drop again, through cutting out most processed foods, eating small amounts of protein and lots of vegetables. I gave Lite ‘n Easy the flick and started enjoying cooking fresh food again. By the time I went on the Bravo Cruise at the end of November, my scales had dipped below 90kgs and I couldn’t remember the last time I’d been at that weight. I was thrilled. I ate well on the cruise but also ensured that I balanced it with physical exertion. No, I didn’t go to the gym (are you kidding?) but I took the stairs whenever I could and I did a lot of deck-walking and I danced my arse off. When I got home, I was proud to see that I was still under 90 kgs. My motivation was now kicking in and I started following Pete Evans on Facebook. When he announced his Paleo Way Tour was coming to Coffs Harbour, I immediately purchased a ticket. As we moved into 2015, I set a goal to go back to the gym. Now that that weight was shifting, I figured the results would be faster if I got back into an exercise routine. Plus I wanted to regain my fitness, and reclaim my health. Midway through January I read an article on Coca-Cola and it hit me. I’d given up Coke almost five years before and not touched it since. I’d had the strength to stick to my commitment despite my emotional turmoil, my (now-recognised) depression and the re-building of my life. I knew I was strong enough to go all the way and I decided on the 1st February I would give up refined sugar. I began by declaring my intention to friends so that I had other people checking in with me and holding me accountable. 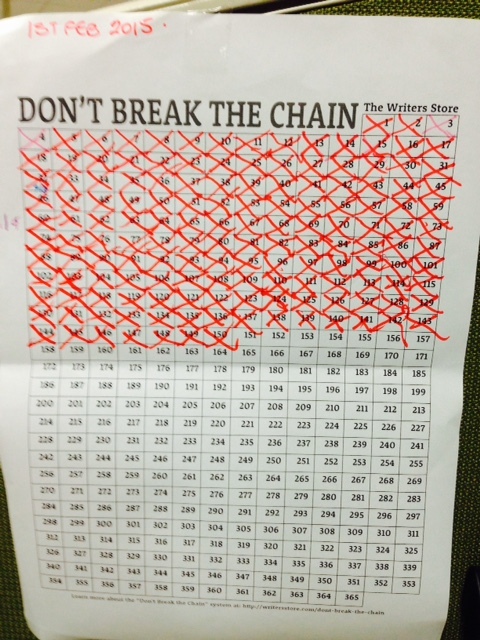 I printed out the Don’t Break the Chain chart to keep me on track. On 1st February, I went cold turkey. I bought a block of Lindt (70%) for emergency use only (I could have a sliver if absolutely desperate). As I was only cutting out refined sugar, I rewarded myself with strawberries and cherries. Thank god it was still cherry season. That saw me through. There were headaches over the first week but nothing like when I gave up Coca-Cola, as I didn’t have the extra withdrawal from caffeine. About 17 days in, I ate sushi. Immediately I noticed the sugar rush followed by the crash. As I hadn’t been in that state for over two weeks, the effect of sugar on my system was quite extreme and I decided that sushi was also a no-go. 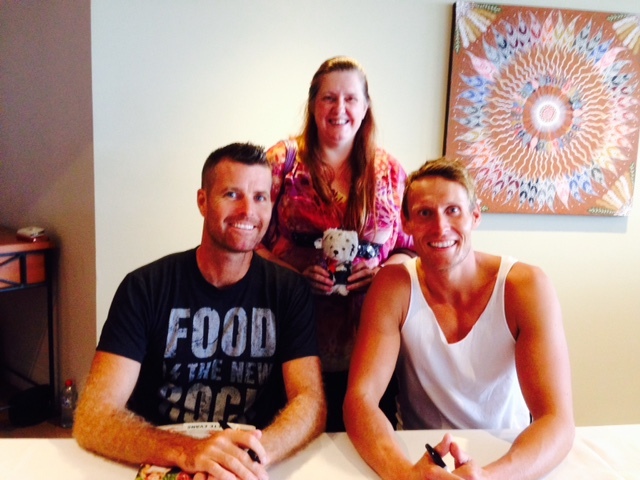 On the 19th February, I attended Pete Evans’ Paleo Way workshop in Coffs Harbour and learned more about the Paleo lifestyle. As a bonus to the ticket, I would received the Paleo Activation Plan in April, but talking to Pete Evans and Luke Hines that night sealed my committment to stay sugar-free. I had to change the context of everything. At work, we have vending machines and snack tables laden with processed products to keep us energy-filled and attentive. I renamed these the ‘sugar shops’. I stopped seeing chocolate as chocolate and just saw it as sugar. I redefined my relationship to the supermarket which is made up of 90% products containing sugar. One day I walked into the food court in the local shopping cemtre and noticed that everything smelled sweet but not in an enticing way. It had become a sickly smell, and one I didn’t want to partake in. At the ARRC Awards dinner, my dessert sat in front of me untouched. Five weeks in I didn’t want to break the chain. 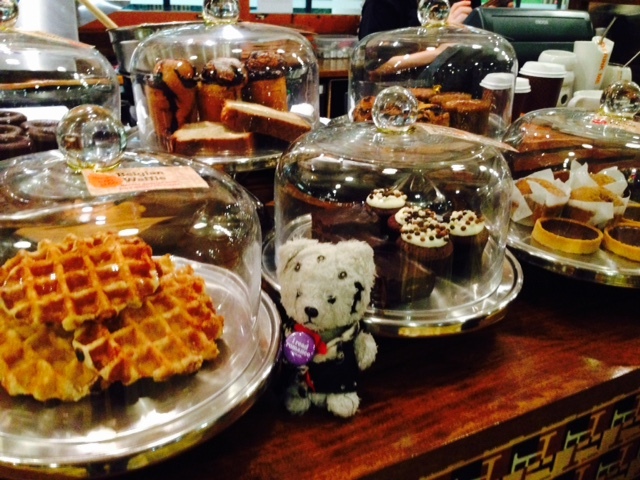 I was lured into Max Brenner, surrounded by chocolate temptations and I remained strong. Despite being led into temptation, my willpower was stronger than the temptation, and I knew giving in would only kickstart the sugar cravings. I had changed my relationship to sugar. Just like a toxic relationship with another human being, I knew inviting sugar back into my life would be detrimental to my well-being. In the midst of this, I saw That Sugar Film at the cinema. Entertaining, eye-opening and more justification to stay off sugar. One of the sugar traps raised in the film was ‘the bliss point’: the optimum amount of sugar to keep an individual coming back for more. Not too sweet, just sweet enough. Cadbury and Coca-Cola Amatil had my bliss point pegged for years. I was hooked on Caramello and iced tea (which had replaced the Coke) but now my bliss point had shifted. Thank you for providing my bliss point over and over for many years. Yes, the sweetness answered my craving but only led to more, until I was insatiable. No more! I am responsible for my own bliss point now and it has nothing to do with sugar. That Sugar Film is now available on DVD. Everyone, every parent, every child should watch it. 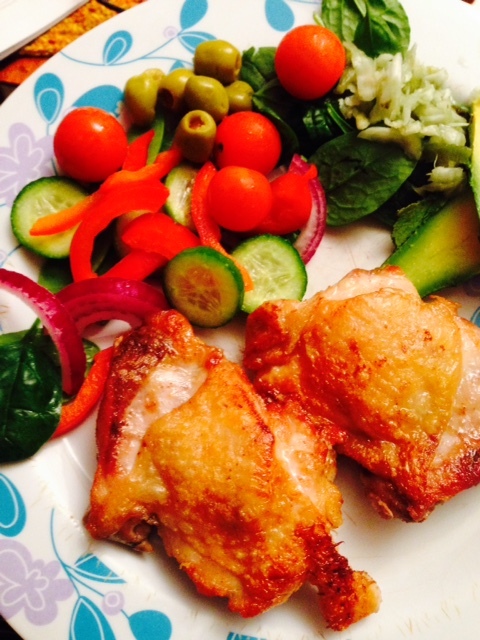 On 26th April I started the Paleo Activation Plan. After nearly 3 months of no sugar, I was down to 82 kgs. I was pleased I’d already kicked the sugar and now only had to give up grains (not so hard, I’d already ditched the cereal and didn’t eat much bread) and dairy (oh, I would miss cheese). It wasn’t a difficult shift to lift my 80% Paleo to 100%. Remaining a social being and sticking to 100% Paleo was difficult. I’m accustomed to saying ‘no’ to alcohol and seeing the subsequent expressions of incredulity that I can enjoy myself without drinking. But often there were no Paleo food options so I did the best I could. As I settled into the Paleo lifestyle, I found my body reacted quickly to the stuff it was no longer used to and no longer wanted. Potato wedges bloated me, white bread could cramp me and/or result in diarrhoea. It was clear that my body approved of my new food choices (revelling in salad and protein) and commented disappovingly when I strayed from the program. cauliflower and broccoli rice replaced jasmine rice for stirfries. 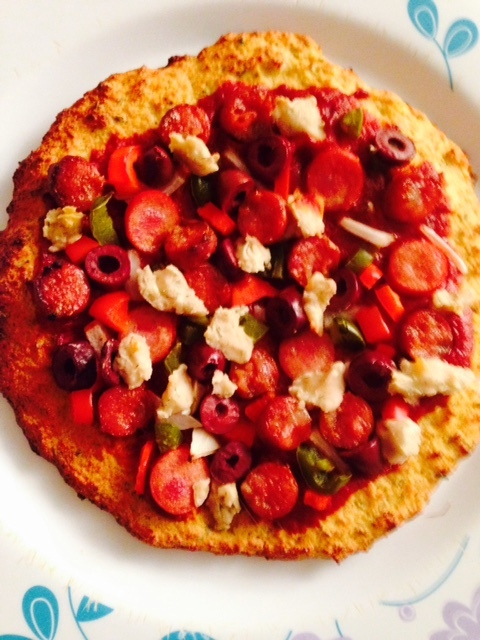 I set myself a task of trying a new recipe each week and some of the discoveries delighted me. I did not feel deprived at all and I found the joy in cooking again. On 1st July, I reached 5 months (150 days) of sugar-free and I will not go back. Today I weigh 70 kgs. My weight on 1st February was 89 kgs. 19kgs lost in 5 months of sugar-free. 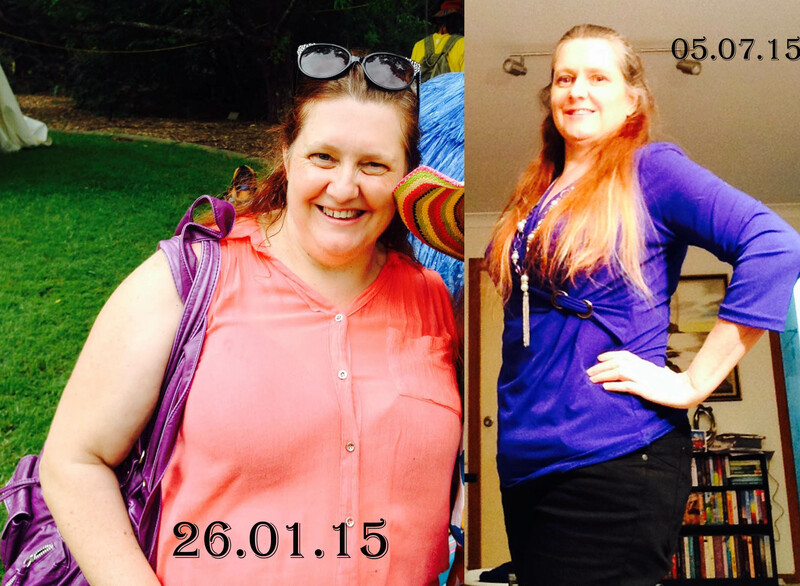 My weight on the commencement of 100% Paleo was 82kgs. 12kgs lost in 10 weeks, a definite acceleration. I have gone from size 18/20 to size 12 and I have a mountain of ‘never to return to’ clothes to give away. The weight loss is not the only benefit. Now that my weight is within a healthy range, my doctor said I can go off the BP medication. I no longer have heartburn. I’ve switched from sugar-burning to fat-burning mode and the difference in my energy is immense. I don’t have the afternoon post-lunch slump. Instead I have energy to burn and go for a power walk to use some of it. That energy often lasts well into the night. No more getting home and collapsing on the lounge, and falling asleep sitting up at 7pm. I’m not hungry between meals and I no longer emotionally eat or eat out of boredom. I sleep better and my mind is clearer. My attitude is positive and I know now that anything is possible with commitment. and everyone who noticed and commented and encouraged me. IT IS POSSIBLE and these cheekbones are proof. 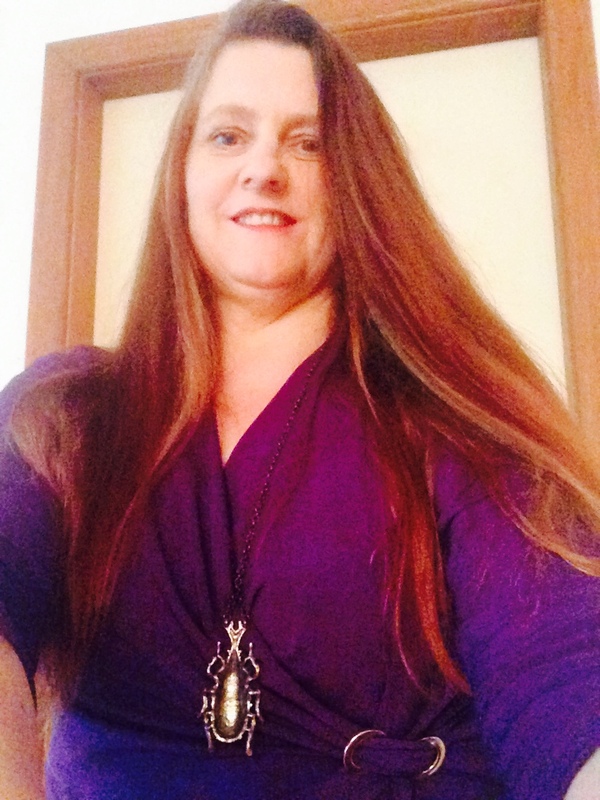 An amazing post Diane, you are amazing and you look fabulous!! Thank you. Sasha. And even better, I feel fabulous! Yes good on you Pete Evans for changing people’s lives in a positive way! Emaciated and malnourished from eating fresh fruit and veges and a little protein. What an ignorant comment! Thank you so much, lovely Juanita. It’s taken a lot of work to get here including the self-love. But it’s a great place to be now. There’s a lot of smiling going on over here too, AA. Thank you. Wow Diane, your story is inspirational. My favourite part of your story is when you discovered that in fact you did have discipline and commitment even when things are hard, and this realisation gave you the ability to do what you needed and wanted to do. This is actually a really important step in making a change in your life, looking back over what you have achieved and noting what personal characteristics you have that enabled you to accomplish that. So pleased for you, that you are truly captaining your own boat! Plus, HOT!! That is the best story i have read this year…. Any year!!!! You are a star. Cant wait to see you in person when i get back to Coffs. Such an inspirational story. Congratulations, Diane. 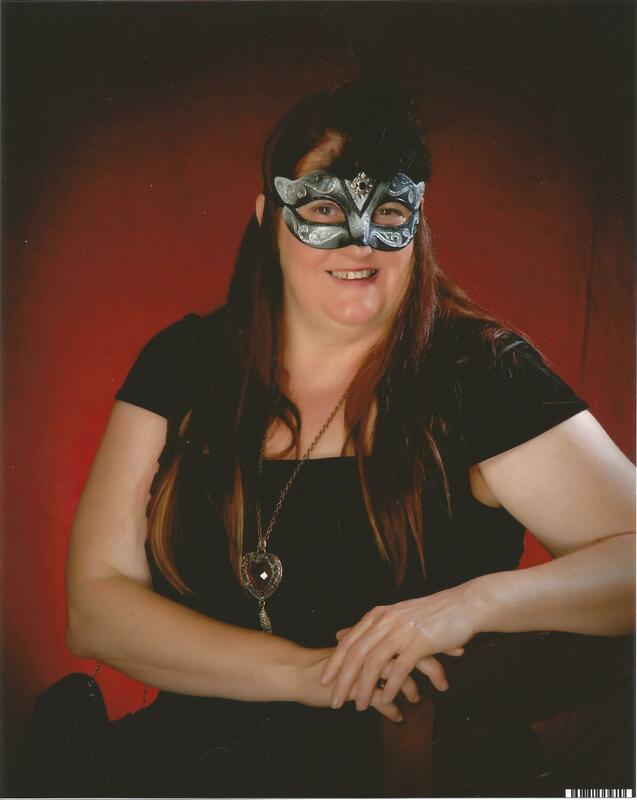 Can’t wait to see you again, hopefully at RWA Melbourne. I’m thrilled to see the change in you! I remember Di as a willowy teen, striking with her height, and her defined cheekbones, SO good to see her return to that same willowy lovely. SO proud of you. PS, send me your fat clothes? Hi Diane. Congrats! Reading about your journey is so affirming and such an inspiration! I (publicly, on FB, LOL) gave up chocolate and diet coke 9 weeks ago. As with you, I’m an addict to the sweet, fizzy stuff. And man, is it SO hard. I’ve had a few slip-ups, but on the whole have stuck with it and suffered the headaches and mood swings coming off caffeine and nutrasweet has caused. I want to eliminate refined sugar from my life completely, before it becomes a huge health problem. I’ve been reading Sweet Poison, and it’s damned scary what sugar does to our bodies. It’s incredibly hard to be strong with the choices/changes I’ve made, and want to implement as my son has a metabolic disorder in which he can’t eat protein so therefore has to eat copious amounts of sugar and fat for the calories so he can grow. So the damned stuff has to be in the house. I switched to stevia, but want to eliminate even that. It’s incredible how much of your story parallels my life, it’s almost like looking into a mirror at how my diet and body feels etc, just changing our names. Thank you for sharing your story. I hope to be able to emulate your success in becoming healthier and sugar free also. Wonderful reading Di. Truly inspirational. So proud of you. So pleased for you as well. And that hot new look! Fabulous. Love this. Thanks for sharing. I saw the link in a post at the shining year workbook Facebook group. Very inspiring. I need to lose about 80 lbs too. Can Paleo be done Ina vegetarian style? Whatever. .anyone who gives up a higly processed diet with calorie laden drinks will lose weight. PAELO doesn’t make you lose Weight .. it just eliminates essential food groups. Our ancestors did not choose to eat a Paleo lifestyle.. ultimately they died from diseases and malnutrition. If Pete ‘no science or medical background’ actually sourced peer reviewed journals to support his hocus pocus theory he would absolutely would not be encouraging his ‘tribe’ let alone his children to eliminate essential food groups and potentiality causing eating disorders and malnutrItion. Anyone with a science/medical based education understands the concept of homeostasis and the bodies ability to naturally detox itself. Look up ‘eating disorders’ ..preferably using peer reviewed evidence based articles .. or Google it because that’s what Pete Evan’s does ..and let that inform your weight loss lifestyle. AND for the record there are no long term studies or any evidence to support ‘Paleo’ so let’s see how many ‘tribe’ followers end up with malnutrition, osteoporosis, eyc. Ok Katy , what about me , i was diagnosed with Lupus in 2001 and started Paleo after much research and no longer have lupus or any ailment in fact i have not seen a doctor in 10 years which makes me feel as free as a bird . Blood pressure and blood glucose perfect . I am 77 years old . Congratulations Diane, you are amazing. Maybe you could start a support group including educational sessions on the Paleo lifestyle with sharing recipes in Coffs Harbour. Good on you, Diane and great story. I keep meaning to tell you, every time I see you (which is not that often) how beautiful you are looking. Well done! Thank you, Robin. Feeling great.